For the UK Aerospace, Defence & Security industries the consequences of a no-deal scenario could be disastrous, especially for small and medium-sized companies (SME) working in the supply chain. This blog is an analysis of the procedural and financial hurdles that companies may face in the event of a ‘no-deal’. If the ‘No-Deal’ scenario becomes a reality in April 2019 UK aerospace companies will be a third country for customs procedures. ADS estimate that this will cost between 10-15% of the sale value of the good to comply with new administrative costs of complying with the EU’s third country customs documentation and procedures. The potential impact of delays at the border have been a hot topic of debate in the press. Aerospace companies operate pan-European, just-in-time supply chains, with contracts that contain late delivery penalties of 1%-2.5% of the sale value per day. A scenario that assumes border checks taking 70 seconds at Dover, could create a six-day delay on current process. It is estimated this would cost Aerospace and Defence companies 6%-15% of the sale value of goods. Many SMEs do not have to consider tariffs or VAT when trading with the EU but could face in a no-deal scenario. Leaving without a deal, would mean companies would have to pay import VAT, which is a non-recoverable 20% hit to cashflow. Most finished aerospace parts incur 0% tariffs, but there is still a potential cost of 2%-7% on some aerospace and defence imports. Sterling has been depreciating as well as fluctuating at political milestones. This makes it difficult for companies, especially in the defence sector, who are already suffering cashflow problems, any further depreciation of sterling could cause further trouble for funding and company cashflow. Somewhat of a ‘known unknown’ cost until a future relationship is clear. 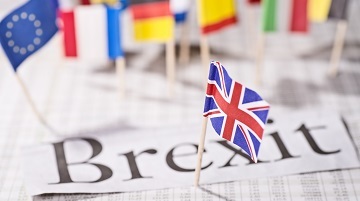 Under a no-deal scenario UK companies will be required to adopt the processes and regulations of a UK regime rather than an EU, at a cost and at a detriment to their current business. For an SME working in the supply chain of Prime suppliers in Defence or large companies in the Aerospace sector, the risk of no-deal could see multiple issues and costs hit companies at once, this poses insurmountable challenges to cashflow and business continuity plans. ADS is urging Government to explore a range of measures that could support SMEs and support cashflow issues beyond access to credit. For example, tax breaks, more frequent business rates valuations, higher thresholds for Annual Investment Allowance (AIA) and other Capital Allowance reliefs could be used as tools to encourage firms to invest.